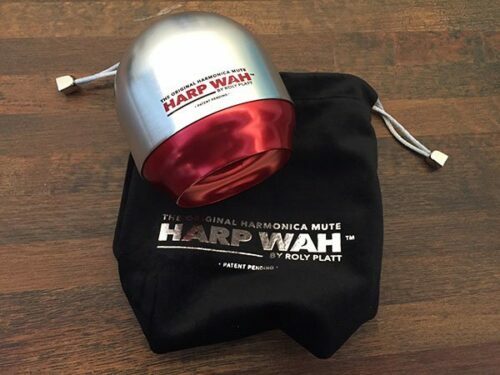 The Roly Platt Harp Wah evolved from Roly’s need for a device that could produce consistent and controllable wah and mute effects on the harmonica. 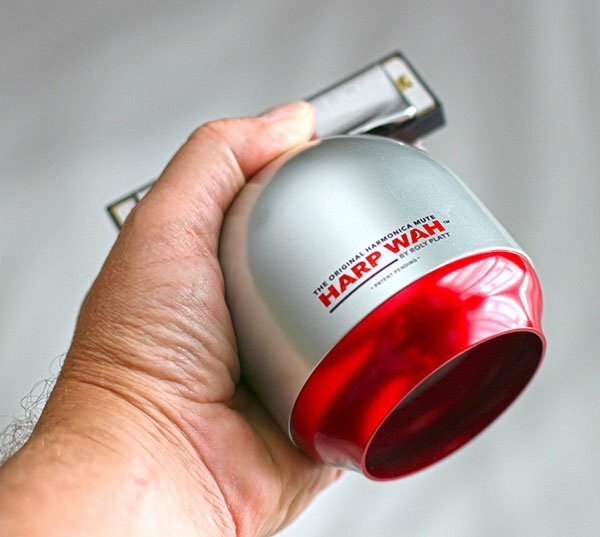 After experimenting with various ad hoc implements (cans, cups and mugs) he decided that he needed something better, and thus the Harp Wah was born! The Harp Wah™ becomes an extension of your regular hand cupping position – making it feel natural, with minimal effect on your playing style. Shape focuses the sound into narrow, controllable field. Anodized polished aluminum – safe, rock-hard and extremely durable finish – inside and out. Light weight and durable, for a lifetime of road-worthy abuse. 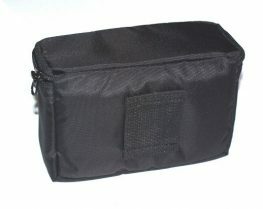 Universal shape and gender-neutral size accommodates a wide range of harp players. For left or right-handed players. Category: Accessories. Tags: harmonica wah, Harp Wah, roly platt. Constructed from anodised and polished aluminium, the Harp Wah not only looks and sounds great but will also stand up to a lifetime of use. 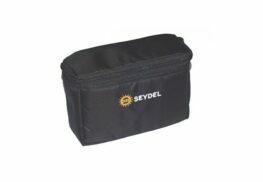 Almost all ten hole diatonic harmonicas will fit in its input slot, and wider harmonicas, such as low low tuning Seydels will also work with a slightly modified grip. The Harp Wah has great projection and allows the player to create a whole range of sounds that would be extremely difficult to achieve in a consistent and controllable way through standard playing techniques and mechanisms. 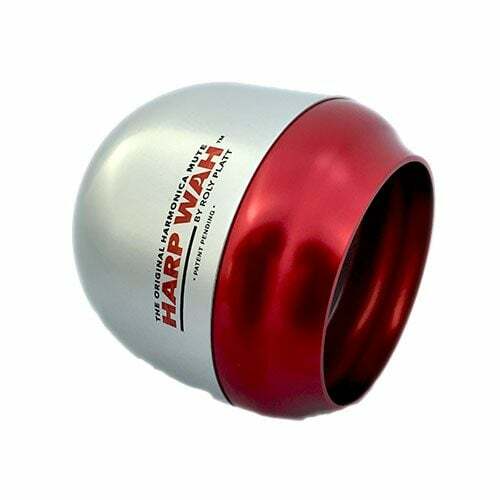 With a design that works well with all sizes of hands and is suitable for left and right handed players, the Harp Wah has a natural feel to which you quickly become accustomed. 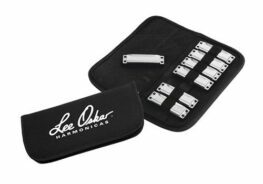 In short, it’s a perfect way of getting a whole range of new tones and expressions from your harmonica. From the quality of the customer service to the delivery of my product I couldn’t be happier. 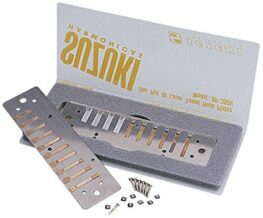 The Roly Platt Harp Wah is amazing fun and easy to play with. You will need to give it a rub with the sand paper to improve grip so here’s a little advice. know what else to say). 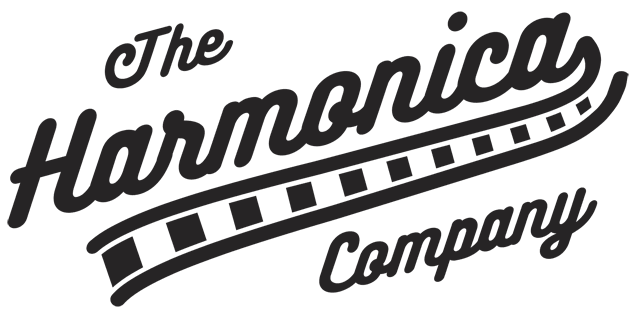 Thanks to all at The Harmonica Company.